Most Powerful Agents in Football : The January transfer window has just been closed and we get to witness a number of transfers across various European teams around. Whilst there are teams which have been able to secure the services of some of the biggest names in the football world, here have been few which missed the chance in the midst of unsuccessful negotiations or transfer terms with the respective player or agent. 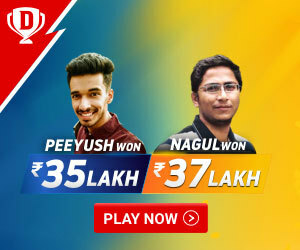 Moreover, when we talk about a particular transfer or a sponsorship deal in the football world around, agents got to play a crucial role in most of those deals in the whole process and they are the ones who usually interact with both the parties and ensure a common agreement between both during the process. 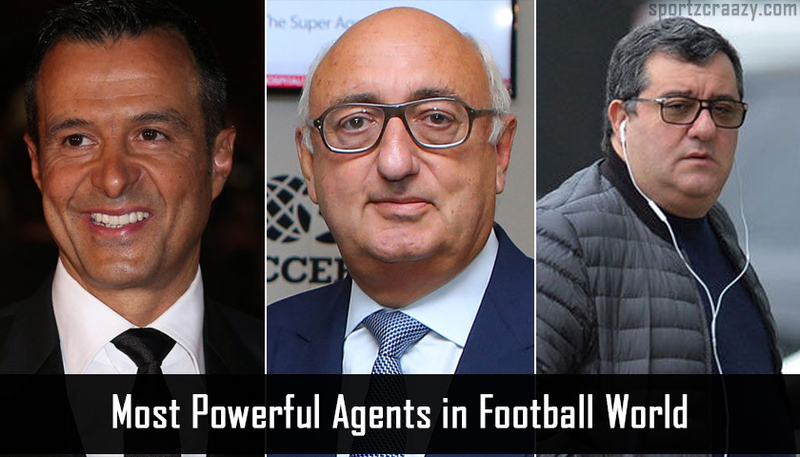 With that said, let’s take a look at the 5 Most Powerful Agents in Football with the biggest influence currently. Its been often said that if any of the club want to secure the services of a Spanish player from the la liga, they have to get in touch with Jose Otin. 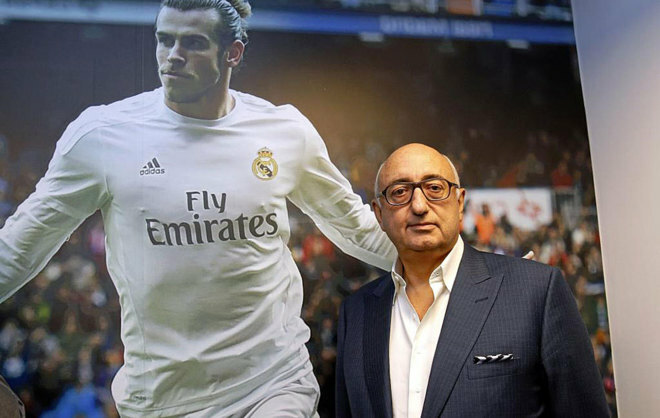 Such is the stature of this Spaniard which certainly claims how bigger name he has established for himself, as a football agent in the world around. 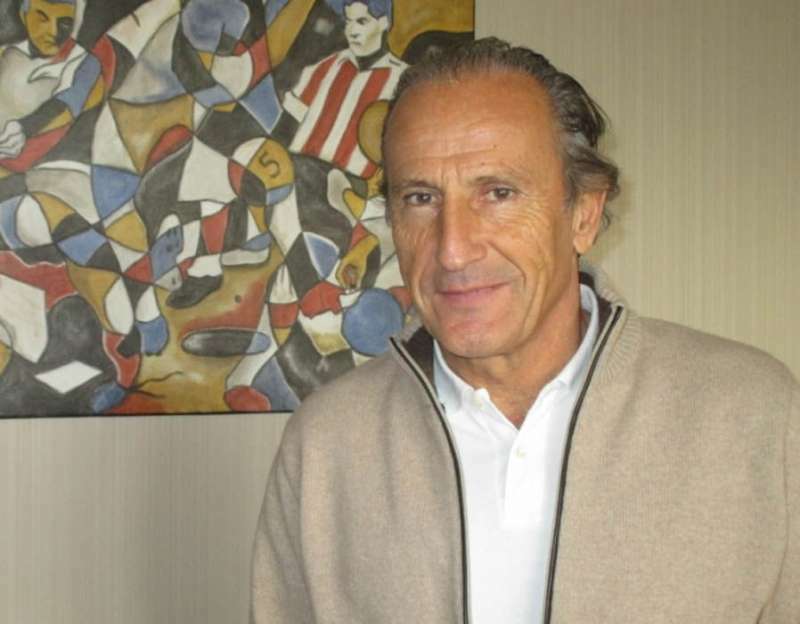 He is also the founder and president of Bahia international and currently deals with some of the most famous names in the football world like Fernando Torres, Jesus Navas, Pedro Rodriguez, Dani Parejo, Ignacio Camacho and Raul Garcia. He has also been a crucial part in finalizing some of the most talked about deals in the football world like the big switch of Spaniard Fernando Torres from Atletico Madrid to Chelsea, Javi Martinez’s move to Bayern munich from Barcelona and so on. Although his involvement in most of the deals in the recent past is quite low and he is not focusing more on his business firm, he still holds a big repute for being one of the most influential football agents currently in the football world around. As of now, he has got football contracts furnished worth £191m and stands fifth in our list. Paul Stretfrod is a known name in the English football and he is been quoted as one of the most influential agents in the Europe alongside. Moreover, he has founded his football agency named Proactive sports management in 1987 which was later been known as formation group in 2004.One of his famous clients is Wayne Rooney who is also his step son and his other client is Andy cole. Paul staretford’s journey in the football world was no good and he has to go through a number of controversies and disputed during the same process. Still this most famous football agent in the England has got his presence felt in most of the deals furnished in the English premier league in the past few years. Also, he is been quoted as one of the biggest reasons behind Rooney’s switch to the MLS in USA. 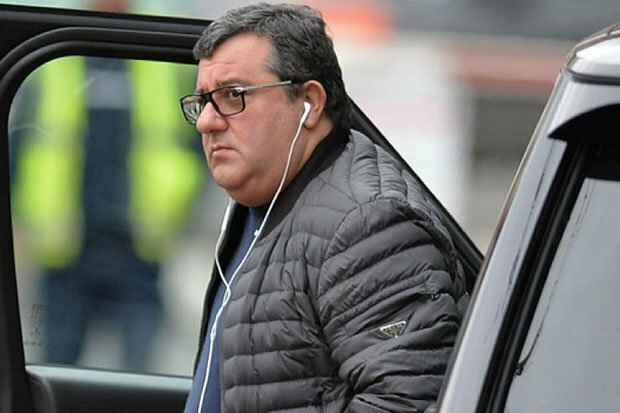 Mino Raiola is one of those few football agents who have been widely known for discovering the young talents around the football world and making them meet with one of the top most football clubs in the world around. Moreover, he earns his commission form the same deals and also gets his money from the promotional work he does for all his notable clients. Raiola is known for dealing with some of the biggest names in the football world like Paul Pogba , Zlatan Ibrahimovic, Mario Balotelli and Romelu lukaku. Meanwhile his role in bringing Paul Pogba back to his former club Manchester united grabbed all the news and he also earned a big commission in the same process. It was also been believed that he along with Pogba convinced former Southampton superstar Romelu Lukaku to come over to united and he also played a crucial part in ensuring the most talked about switch of Zlatan Ibrahimovic to united and then to MLS eventually. Jonathan Barret is a well known name in the English football fraternity and is the founder and the Director of the famous stellar group. Moreover, Barret has been quoted as one of the biggest reason of most of the English footballers securing big deals in foreign territories and with names like Gareth bale , Joe hart, Adam lallana to his big clientele list, we can certainly believe in the same fact. Barnett is mostly known for putting his perspective and client’s interest ahead in terms of any deal on the table and this is the reason why he is so popular amongst most of the English footballers in the English premier league. Moreover, he was the biggest reason why Bale chose to go for Real Madrid instead of any other club and there were reports which quoted that Barnett was the person who negotiated all the deals and the clause for his client with the Real Madrid club. 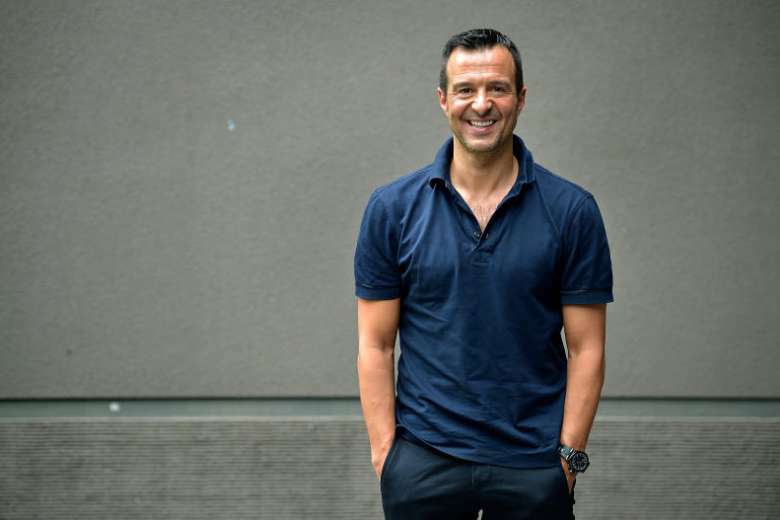 Jorge Mendes can certainly be considered as the most influential agents in the football world around and he also tops our list in the same regards. He is that one football agent who currently manages almost every other big football player and some of his famous clients include Cristiano ronaldo, Bernardo silva, Angel Di maria and many others. Mendes is known to have been the representatives of some of the biggest Portuguese stars like Ronaldo and he also manage all the deals and negotiations for famous coach Jose Mourinho. Also, his net worth is been quoted as more than one billion dollar and he is currently on top of the list of most influential Football agent in the world around. Mendes has earned most of his commission from all the transfer deals and sponsorship deals for his famous clients and he was the biggest reason behind Cristiano roanldo bagging the humongous contracts from some of the major brands like Adidas, Coke, Gillette and so on. While Ronaldo’s switch to the Juventus from his former team was one of the biggest talks of the town recently, reports have confirmed that it was Jorge Mendes who has made this possible for the Italian club to convince the famous football star to come to Italy. This further created a big controversy after the Real Madrid’s president criticized Ronaldo and deemed his transfer to juventus as unfair. Still it was Ronaldo who himself defended the whole deal whilst claiming that it was his personal choice to switch to Italy as he wanted to explore bigger challenges in his football career.